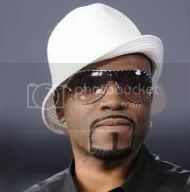 New Jack Swing pioneer and Blackstreet founder Teddy Riley is denying reports that he assaulted one of his daughters, claiming the allegation is the result of a financial dispute. Riley’s 18-year-old daughter Taja filed a temporary restraining order against her father, claiming that she and her older sister were stomped and punched. The Los Angeles court filing also states that Teddy Riley allegedly threatened to kill them while swinging a Rock Band video game guitar. In a prepared statement, Riley explained that he spoiled his children over the years, and his daughter’s legal case is a response to him being a stronger disciplinarian. While not directly addressing specifics from the incident, Riley further alluded to the confrontation happening over some form of disrespect. At press time, Teddy Riley has to remain at least 100 yards from his daughter Taja until their January 2010 hearing.